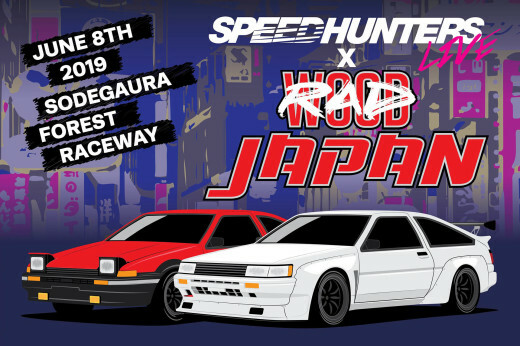 Japan has without a doubt the highest number of tuners per capita. From your high profile names to the tiny local one-man garages, there is really something for everyone out there. 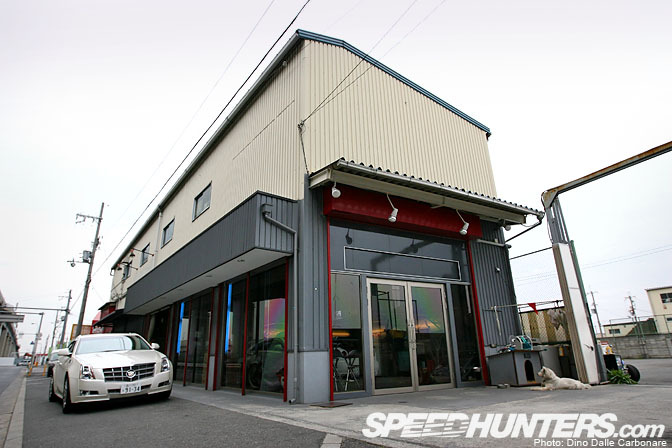 If you live in Osaka and are looking to extract more performance from your car then there is a very good chance you will probably stop by Auto Select, and meet up with the Sawa-brothers. …without a doubt their most easily recognizable creations. 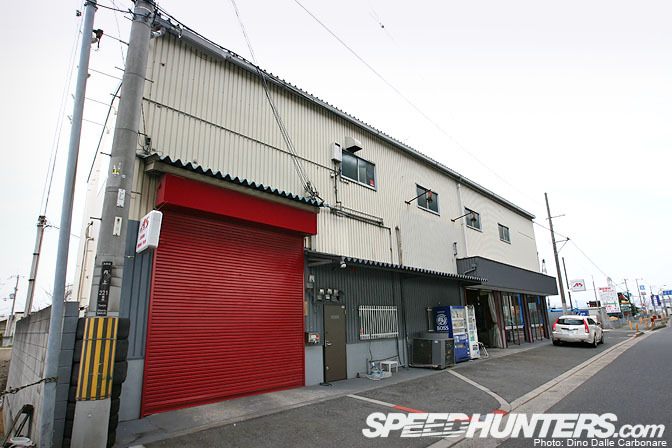 Auto Select today is an impressive facility but like many shops in Japan has very humble roots. It began all the way back in the late seventies when Eiichiro Sawa started taking an interest in sports cars. He enjoyed the driving but more so tinkering with them, tuning and experimenting with ways to not only extract more power but also make them handle and stop better. He became quite the master at fine tuning carburetors and in no time all of his friends would go to him to get their own cars looked at, quickly making a name for himself. But it wasn't until the mid-eighties that he decided to open up a dedicated tuning shop with his brother. As Eiichiro told me, Auto Select has always strived to create well-rounded cars, making his customers realize the importance of balance. Outright power must always come after suspension and braking upgrades. It's a simple rule but it makes perfect sense. 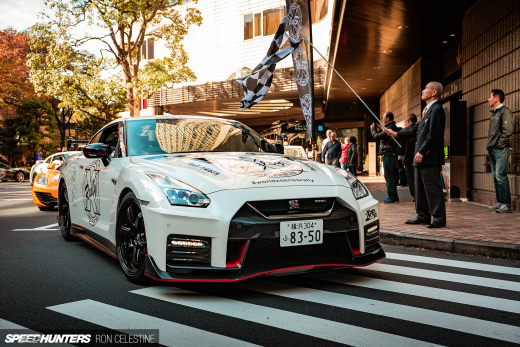 Over the last few years they have been concentrating on developing upgrades for the R35 GT-R and working on the car's ECU to extract more performance. 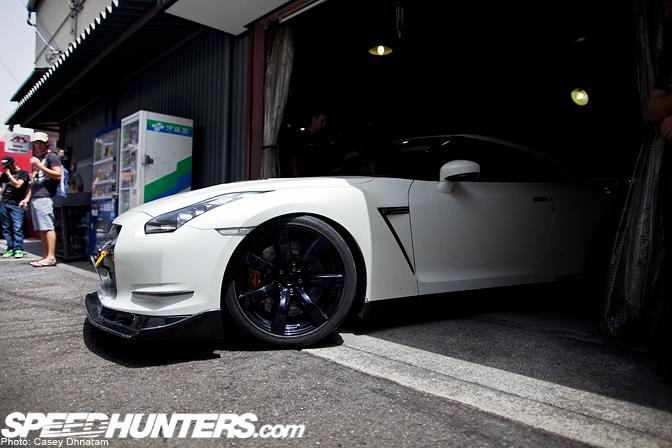 When Casey stopped by the shop back in April they had just began tuning a customer's brand new 2012 R35. 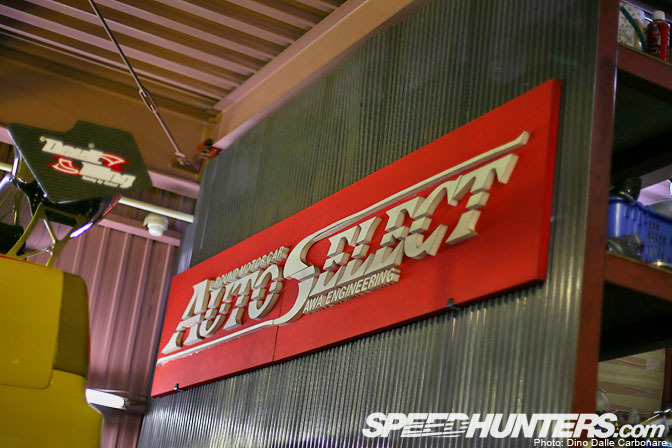 The shop area is where customers can wait while their cars are receiving basic maintenance like oil changes or a suspension alignment and there are always some nice parts to check out as well as cool cars on display. 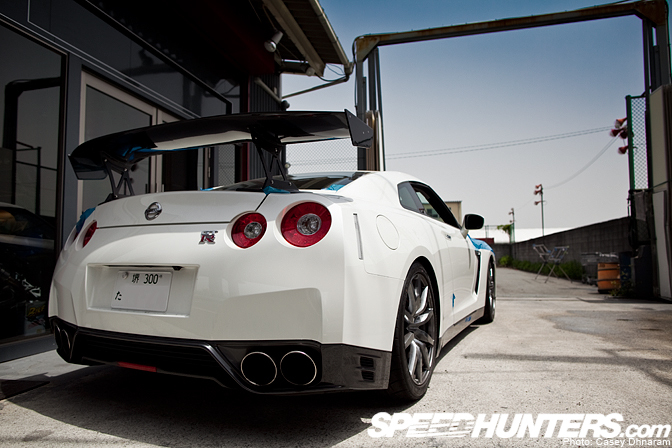 This white BNR34 V-specII Nur is one of the most extreme customer cars they have built, a street-registered 800 HP monster that spends a lot of time stretching its legs at race tracks like Suzuka and Okayama. 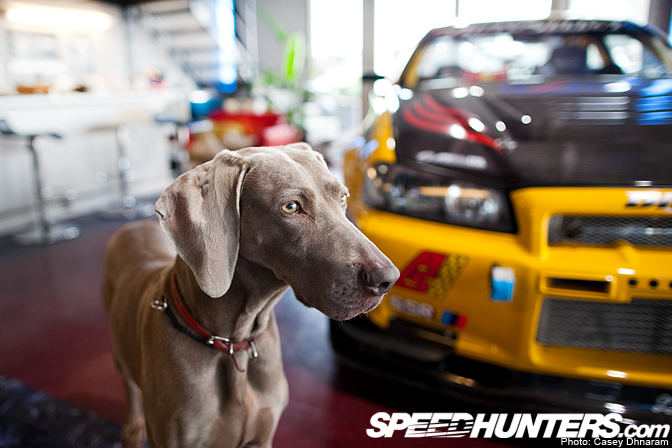 Vivi-chan is Auto Select's official guard dog! I usually waste way too much time playing with this pup when I'm over there! 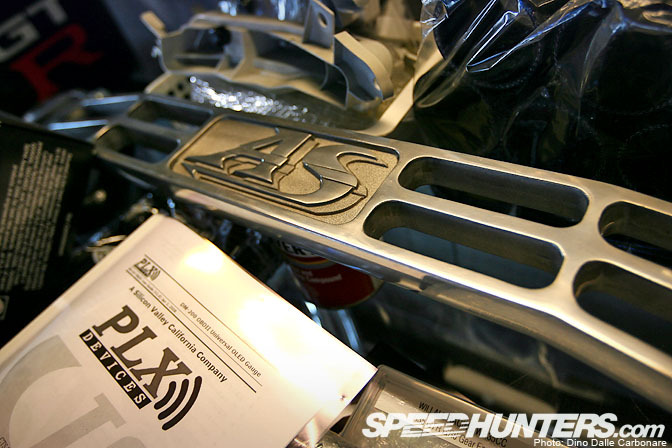 One of Auto Select's most recognizable parts, their billet strut brace for the Skyline GT-R, guaranteed to stiffen up the chassis! Auto Select GT-Rs have always been easy to spot thanks to their snow-plough like front lip spoiler, helping to not only generate more front downforce but also direct more air towards the brakes. 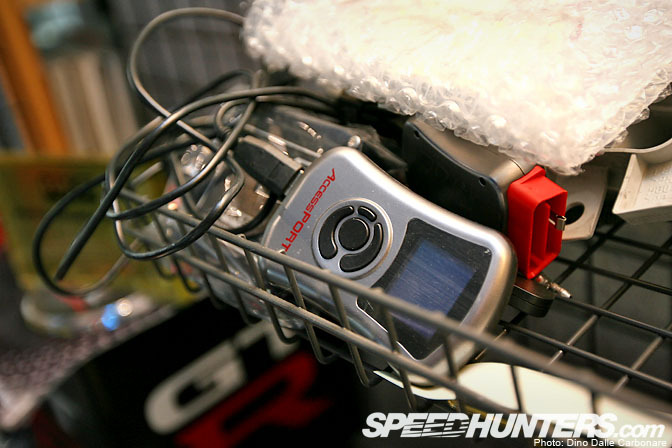 Sawa-san was one of the first in Japan back in 2007-2008 who started using the AccessPort module to modify the R35's ECU. Here is the shop's demo car, running matte-black versions of the stock rims as well as that unmistakable front spoiler. …13B to be dropped into its spot welded and riveted engine bay. 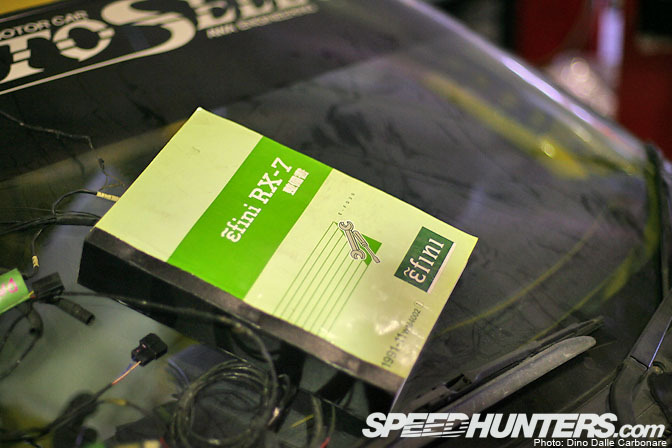 The original Mazda Efini RX-7 workshop book! Definitely something you need when you strip one of these cars down and start playing around with wiring. With most of their time dedicated to building all sorts of GT-Rs, this particular democar was put on the back burner for quite a while. But it won't be long now! 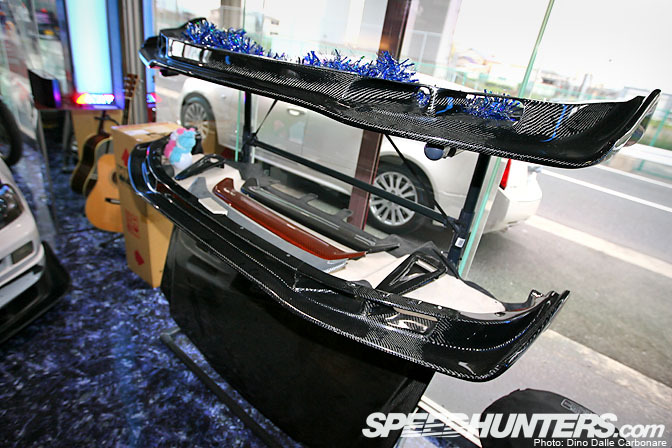 I hope we will see it in action at the Tsukuba Lap Battle event in December! …the one on the left was actually painted in a Nur-like gold and fitted with BNR34 wheels. What did Casey spot back there!! 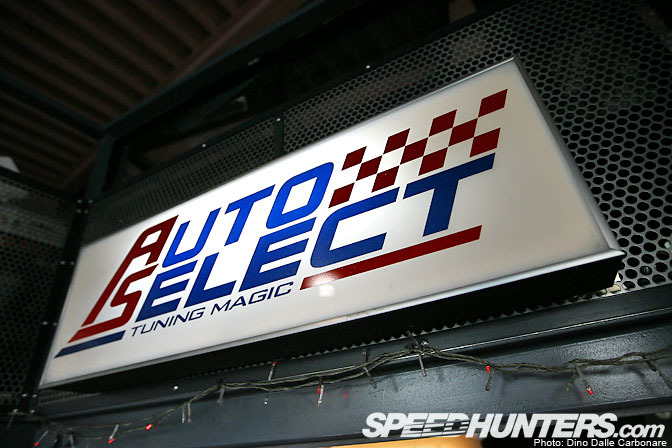 …is a perfect example and of course was built right here at Auto Select. Their Yellow Shark has also been recently fitted with a brand new engine, based on OS Giken's RB315 kit, proving that development at Auto Select is never over. Next up are a couple of spotlights of a pair of very special Auto Select GT-Rs. Ooh!! That's haven right? I want to work there :D!!! Any chance you can go over to M-Sport and Pro-Stock's shops and ask them why they are no longer bringing out there R34's to do with time attack anymore? 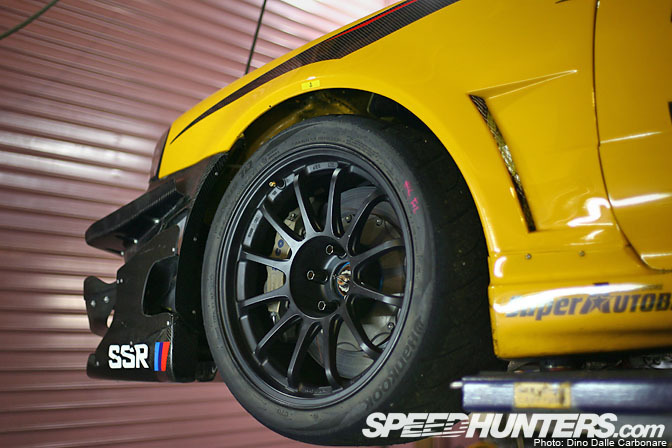 More on the JUN Auto bugeye time attack beast!! More more!!! Do i see a yellow JUN STi? auto select...my favorite tunner for skylines!!! incredible cars! They bought JUN's Hyper Lemon Impreza? love articles like this. more please! More JUN Hyper Lemon Subaru !! wanna look up more on the JUNbuggy STI PLS!!! Nice shop. Keep going with the great content, Dino! Weird that the hyper lemon sti is just chilling there.. That fd3s has been around for ages, see it in an option video walking away from a bunch of other rotaries in a cannonball run. Love Auto Select cars, thanks for the feature. More JUN hyper lemon GDB!!!!!!!!!! Show us more about the JUN's Hyper Lemon Impreza!!! Isn't Sawa san also famous for hitting the wangan?